Who Are BRIG and BRIG USA? 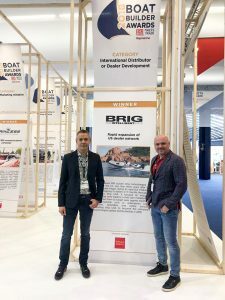 BRIG USA is the largest and most popular inflatable boat brand in the world — and the fastest growing. You’ll find BRIG products across North America, the Carribean and Latin America. Our yacht tenders appeal to boating enthusiasts who view their time on the water as an adventure. They choose our inflatable boats as a way to indulge their passion and create memorable experiences with family and friends — and to escape the grind and pressures of daily life. Why Become a BRIG Dealer? Profitability: Our RIBs provide our dealers with the highest profit margins in our industry. Combined with the popularity and variety of our portfolio, you’ll have ample opportunity to bolster your bottom line. Promotional Assistance: Our national online advertising presence will drive qualified, interested buyers to your store. Plus, we return 5% of each dealer’s annual purchases from BRIG USA to use in local marketing efforts – including boat show costs. Corporate Stability: BRIG is a privately owned, financially stable organization that’s been in business for more than a quarter century. Our large, loyal customer base continues to grow by leaps and bounds. Timely Warranty Payments: We pay all eligible warranty claims at the dealer’s posted labor rate ensuring a high level of customer satisfaction. Does becoming a BRIG dealer appear to be the opportunity you’ve been seeking to grow your business? Are you interested in taking the next step? We’d love to hear more about you and your goals. We’re looking for dealers who share our passion for the marine industry and have a strong desire to add the best products in the industry to their portfolio. We’re also open to ambitious individuals hoping to launch a marine dealership. Start the application process by filling out and submitting the form found on this page. If you still have questions about becoming a dealer, contact us today. 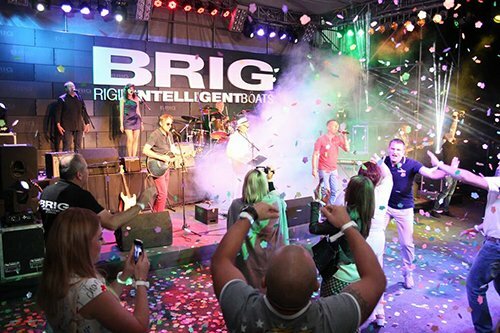 Apply to Become a BRIG USA Dealer Today!